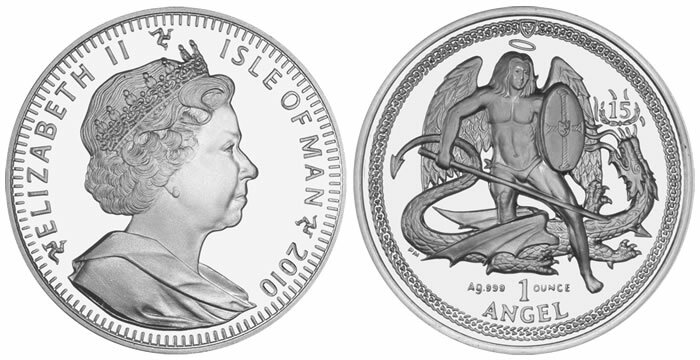 I sort of realized, as I was looking at it, that for probably the first time in my life, I was holding a coin where the image on the back actually portrays a creature with a tail prominently displayed. Everyone's heard of "heads or tails? ", the traditional invocation for a coin toss. The head is obvious: most government-issued coins, from antiquity to modern times, have borne the bust of some famous ruler on one side. But most coins do not come with some tailed animal on the back, so where does the ubiquitous expression come from? I don't think tails has anything directly to do with what is on the other side of the coin, but rather it is an expression of opposites: the head is at one end of spinal column, the tail at the other (think 'dog' nose to tail are opposites, rather than head and feet). The expression can't make head nor tail of it expresses this concept of opposites, and may be where heads or tails comes from. The first recorded use of "tails" to mean the reverse side of a coin occurred in a 1684 comedy, "The Atheist," by playwright Thomas Otway. A character in the play advises someone, "As Boys do with their Farthings ... go to Heads or Tails for 'em." Before that, it was done by the Romans, and was called navia aut caput ("ship or head"), as some coins had a ship on one side and the head of the emperor on the other. Some of the earliest known coins were found in the ruins of of Lydia in modern-day Turkey. These coins date back to 600 BC, and were engraved with the image of a symbolic animal. The more obvious answer would be that the terminology started with the Romans and Greeks, since they used heads of states to adorn their coins with (as well as Gods, such as the head of Athena coin). But I wouldn't know where the "tail" terminology comes from in that case. It's worth noting that our knowledge of the Lydians being among the first cultures to produce coins comes mainly from the Greek historian, Herodotus. So it's likely that the Greens and Romans were inspired by the designs of the Lydians. More information on the terminology used in other languages for the obverse and reverse of a coin. And according to Merriam-Webster, the origin of the term "tails" for the reverse of a coin in English dates to 1680. The term is heads or tails in America or Britain but it differs in other countries based on their monetary history. I know that Italy has Heads or Crosses and back in the Roman days there was Heads or Ships. Heads is a given. Most coins have a picture of a leader or powerful figure on one side and the opposite side whatever. In the US we did have a Buffalo nickel that had a tail on the back but I am sure that the phrase was muttered before that nickel. It is just that tail is the opposite of head. The phrase "I can't make head nor tail of it" has nothing to do with coins (I think). So the phrase is more about the actual money than just making up a phrase to play a game. And in your picture is a big dragon's tail. Growing up in Canada, this seemed a very natural expression, as most of our coins have animals on them. 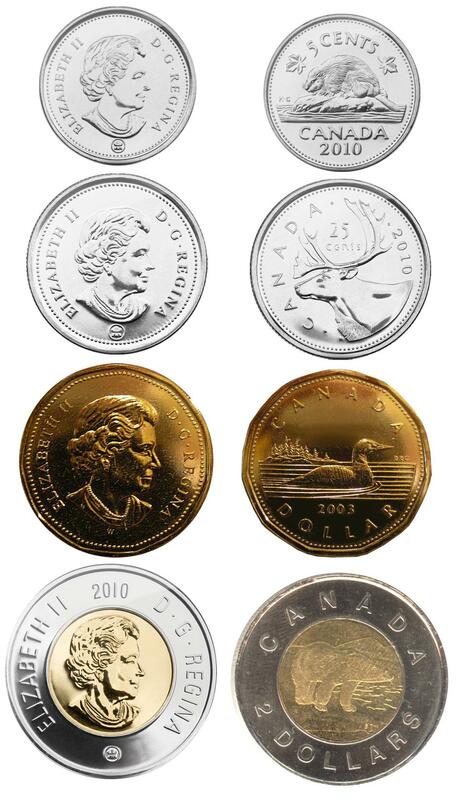 A beaver, caribou, loon, and polar bear adorn our five cent, twenty-five cent, one dollar, and two dollar coins, respectively. Many other countrys, such as Madagascar and Australia also have animals on the back of their coins. Wikipedia says that "head and tail" might be connected with German Kopf und Zahl (Head and number). In English the word family connected with German Zahl and zählen is to tell, tale, teller (in a bank). But there was a semantic shift in the meaning from to count to narrate. If Wikipedia's view is right then we have a typical case of transformation. An old word (Old English talu) that came out of use was changed to another, well-known word: tail. So the coin got a tail, though coins have no tail as everybody knows and you have to search a long time till you find an animal with a tail on the backside. But almost all coins have the value on the back in large digits (the number or German die Zahl; Modern High German z /ts/ comes from t; in Low German it is still t). Two persons decided to go for a horse ride. But who will ride first? The horse was in stable. They decided to work out the solution with a chance. As they enter the stable, is the "head" of the horse facing us or is the "tail" of the horse facing us?. So, one called "Heads" and the other automatically settled for "Tails". This is how they decided who will ride the horse first - a chance with two equally likely probabilities. Does this initiate the history of the terms "heads or tails"? Why do we use the plural “heads” and “tails” when describing sides of a coin? Why do we pluralize 'heads' on a coin flip?